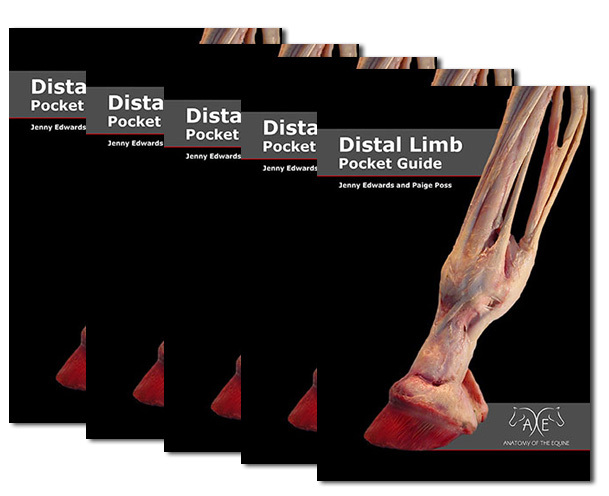 This handy pocket guide evolved from our very first product, a series of hoof anatomy postcards. 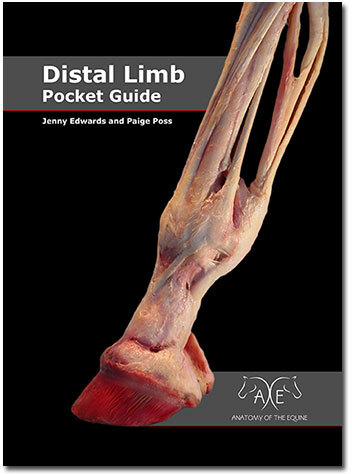 This portable teaching tool is invaluable aid in educating your clients on the basics of the distal limb and hoof which in turn inspires trust and confidence in your ability to help their beloved horse. Printed on 130-lb, glossy card stock with a full-color front and back, this Guide is both rigid and durable. The spiral binding makes for ease of use and portability. Now also available as a Digital Book (eBook) that can be viewed on any computer or mobile device. 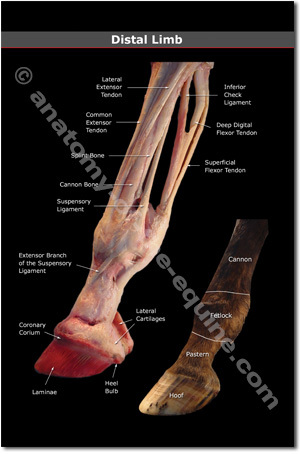 Here the distal limb has been dissected to show the bones and tendons of the lower leg. The structures are clearly labelled. Particularly useful when discussing issues relating to the Deep Digital Flexor Tendon and Suspensory Ligaments. 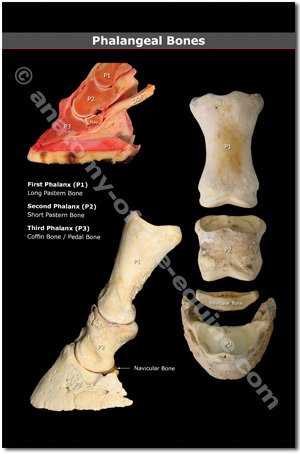 The Phalangeal Bones: P1, P2 and P3 (long pastern, short pastern, coffin bone and navicular bone) are shown in lateral and dorsal views to demonstrate their relationship to each other. There is also a sagittal view of the bones placed back on the sole to illustrate the location of the bones within the hoof. Particularly useful when conveying how P3 is the foundation of the front of the hoof and hence why the hoof is the shape that it is. 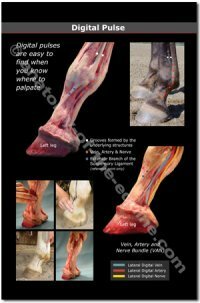 Designed to show the basic sole anatomy to help when explaining the different aspects of the hoof. Here the sole has been removed to show both the sole corium and live sole. 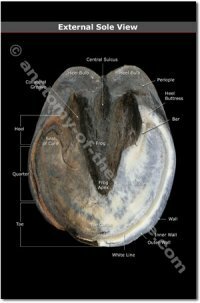 Particularly useful to explain the importance of developing a healthy sole and the sole's role in protecting the bottom of the hoof from stone bruises. 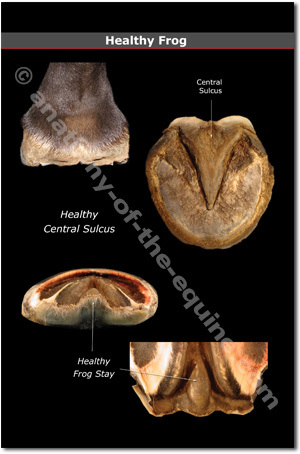 The healthy frog is vital to the function of the hoof. These dissections show both external and internal views of the frog and frog stay, which clearly illustrate how robust a healthy frog is. In comparison, these dissections show a thrush-ridden frog and frog stay, which clearly illustrates how devastating thrush can be. Particularly useful in educating owners about the importance of frog management and how a seemingly small central sulcus crack can hide the true destruction of the frog stay. Here the hoof capsule has been dissected. The hoof wall has been removed to reveal the stunning beauty of the sensitive lamina underneath. 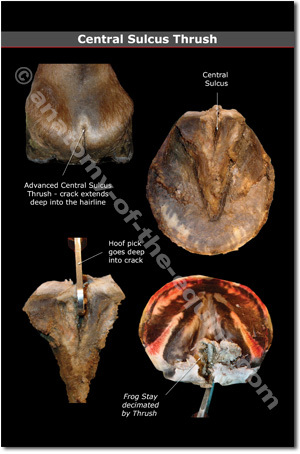 This dissection Illustrates the relationship of the hoof wall and laminae. 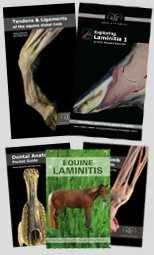 Particularly useful when discussing Laminitis and the importance of the hoof wall and bone connection. 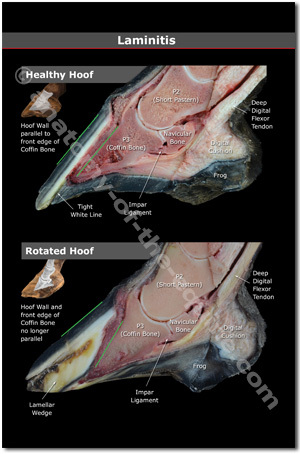 Anatomy dissection of a "healthy" hoof compared to a rotated hoof depicting how the structures get displaced with severe laminitis. Includes xrays of both hooves. 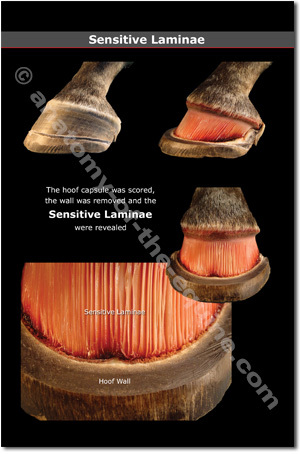 Very useful to drive home the impact laminitis has on the equine hoof. 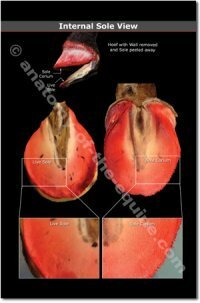 This dissection series exposes the internal aspect of the back of the foot. 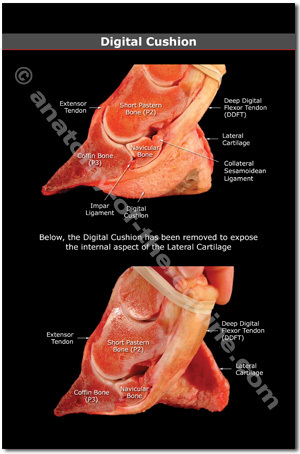 It clearly illustrates the location and expanse of the digital cushion as well as the other main structures, such as the lateral cartilage. Particularly useful in educating clients about the importance of the back of the foot and the shock absorbing qualities of a healthy digital cushion. This dissection shows the anatomy of the lower leg and pinpoints the location of the veins, arteries and nerves. 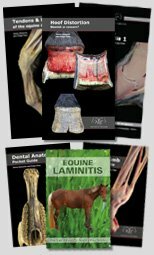 The dissections, paired with live horse legs, provide clear, simple instruction to aid in locating the digital pulse. 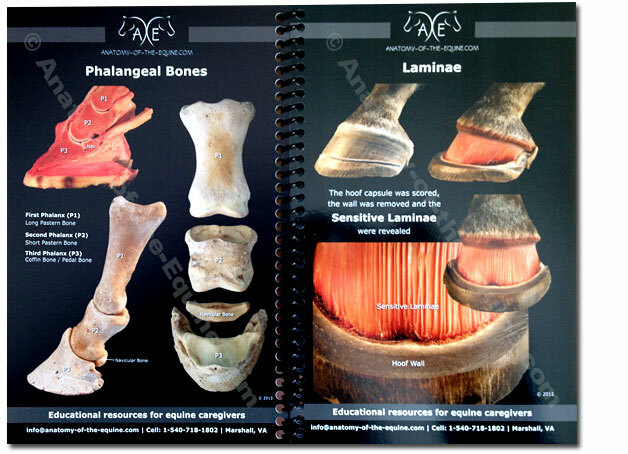 This is 'must have' knowledge for all clients who have horses with laminitis. Monitoring the digital pulses helps effectively manage the laminitic horse to help prevent the devastating effects of founder. Buy five guides for $75 and save $5 per book - perfect for selling on to clients.